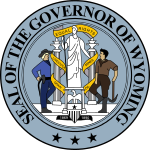 This is a list of the governors of Wyoming. It includes Territorial Governors. Wyoming Territory was created in 1868. Wyoming became a state on July 10, 1890. ↑ 1.0 1.1 1.2 1.3 1.4 Resigned to become a Senator. 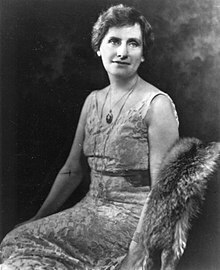 ↑ 2.0 2.1 2.2 2.3 2.4 2.5 2.6 As state secretary of state, acted as governor. ↑ 3.0 3.1 3.2 Died in office. ↑ As state secretary of state, acted as governor until replacement elected. As of January 2019[update], four former governors were alive. 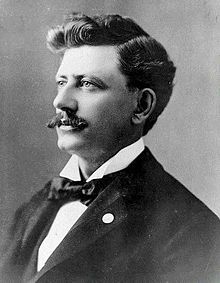 The most recent governor to die was Clifford P. Hansen (1963–1967), on October 20, 2009. The most recently-serving governor to die was Edgar J. Herschler (1975–1987), on February 5, 1990. This page was last changed on 9 January 2019, at 19:23.